When I was a child, terrorism scared me more than the other kids. Immigrants carry the fears they know to their new countries and pass them on to their children, often out of context. So having Israeli parents in New Jersey in the 1970s meant growing up worrying that Arab terrorists—rather than kidnappers, tornadoes, or ICBMs—were going to get me. Each night we waited for Walter Cronkite to tell us what evils had befallen our faraway people. A hijacked airplane. A seaside resort attacked by men with rifles and grenades. An elementary school, the murder of children. I was Israeli, and I believed these things could happen to me, too. In that world, terrorists were crazy, demented, evil people who took guns into schoolhouses and shot up buses and reveled in the blood they had shed, all in order to make a political statement—a statement that my people, my family, my life had no legitimacy at all. It was both grotesque and chaotic. Outside of the realms of law and sense and humanity. And then I grew up, and the same dark forces expanded and threatened to engulf the whole world: 9/11 and 7/7 and Madrid and Mumbai made terrorism everyone’s problem. But then, after a few years of major global concern and greater and lesser wars, something else happened. At some point in the last decade, terrorism went from being something demonic and nightmarish to something more like a disease that we knew how to fight. Dangerous if left untreated, but beatable nonetheless. We had somehow put it into a box. Part of what changed was the determination of Western governments, especially after 9/11, to militarily attack terror bases around the world. Al-Qaeda, in particular, had its whole command structure decimated. But alongside the military campaign was the recognition that terror networks needed money, legitimacy, and freedom to operate—all of which they got from the legitimate global political and commercial systems of the world. Terrorists, it turned out, lived, basically, in the same world we did. The U.S. Treasury, helped by new legislation and led by Under Secretary Stuart Levey under both the Bush and first Obama administrations, took the charge in enforcing strict anti-terror measures against corporations and governments that were on the wrong side of the battle. Intelligence agencies, too, started prioritizing tracking bank accounts and wire transfers. American diplomats lobbied foreign governments to join the effort. But there was another component to this struggle, one that is a lot less well known because it emerged entirely from the civilian, nongovernmental world: Civil lawsuits that take advantage of laws in the U.S., Canada, Israel, and other countries, to seek damages not only from the terrorists themselves, but also from states that sponsor terror (and can be sued under U.S. law), banks that funnel terrorist money (and are therefore aiding and abetting terror), and corporations that do business with terrorist entities. Civil lawsuits, it turns out, are not just a great way to help victims find justice and compensation for their misery. They are also an enormously powerful tool in fighting terror. Because they are not initiated by any government, they cannot be stopped through ordinary diplomacy or with back-channel deals. The can be initiated spontaneously, unpredictably—effectively turning the tables on the terrorists, who are used to being the unpredictable ones. Once filed, they are in the hands of an independent judge who follows the law, not the political needs of the moment. And because civil lawsuits have lower thresholds of proof than do criminal proceedings, and it is therefore usually much easier to prove liability than criminality, civil attorneys can very often succeed where prosecutors fail. For this reason, Western intelligence agencies often happily cooperate with civil cases against terrorists, providing crucial evidence for the plaintiffs—for they are doing the work that government cannot. Implausibly and incredibly, one woman has played the overwhelmingly decisive role in fighting terror through civil litigation. Nitsana Darshan-Leitner is younger than me, has long dark hair and an attractive smile, and six jumpy kids. She is outwardly shy—but perhaps in a Clark Kent sort of way, suddenly flashing a heroic, energetic presence when making her case. In an interview, she often seems like she’s suppressing a chuckle even when discussing the most serious topics, and one ever-so-slightly lazy eye makes her look curiously vulnerable. 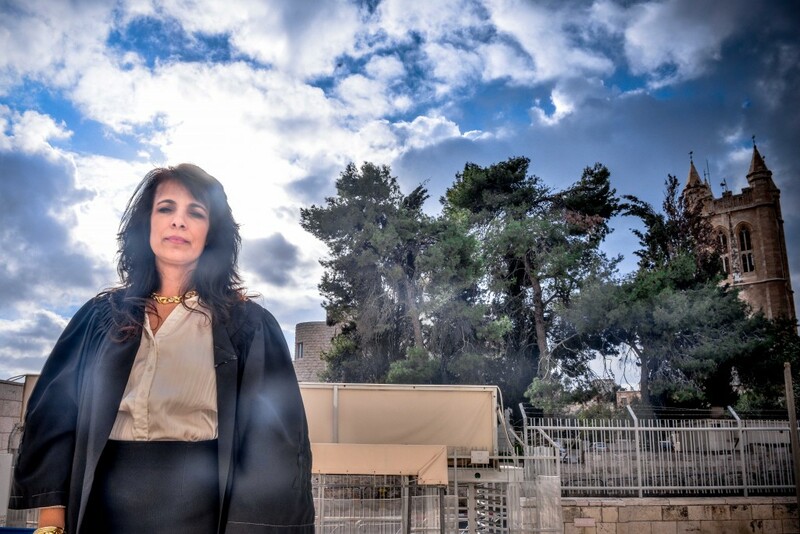 Through her nonprofit legal center, Shurat HaDin (“letter of the law” in Hebrew), Nitsana has spent the last decade and a half battling terrorism through civil lawsuits. Representing terror victims from Israel, the United States, Canada, Iran, and elsewhere, she files motions and seizes assets and sends warnings. She has become a menace to terrorists, putting them on their heels, forcing them and their sponsors to spend vast sums on legal fees, to stop using the Western banking industry, to smuggle cash through tunnels instead of using the banks. In the process she has revolutionized the way the civilized world deals with terrorism. Governments that clearly back terror organizations—like Iran, Syria, North Korea, and the Palestinian Authority—have found their assets frozen, even turned over to victims. Terrorist groups, states that sponsor terror, banks that facilitate terror financing, companies that do business with terrorists—all of these have found themselves diverting attention, resources, and immense energies to dealing with high-profile lawsuits. Major corporations have discovered that they cannot operate with impunity. The numbers alone tell a big part of the story. In the last decade, Nitsana’s team has won over $1 billion in judgments. These have resulted in the freezing of over $600 million in assets around the world—money that otherwise would be funding terror operations. And over $120 million in actual awards have been transferred into the hands of the victims. It is worth pausing over that last figure a bit. There are large charitable organizations dedicated to helping victims of terror attacks. They raise money from well-meaning philanthropists and do admirable work. But because they are based on donations, what they can actually give the victims is comparably small. 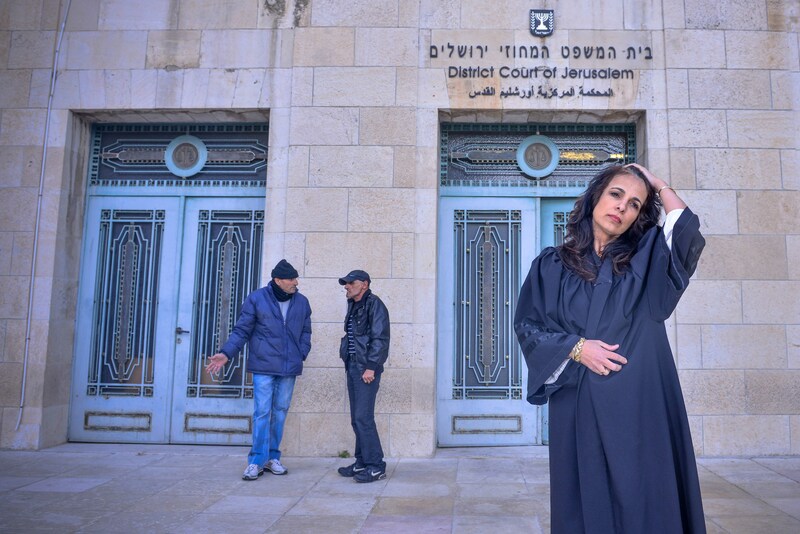 Shurat HaDin, on the other hand, operates on a different order of magnitude, prying much larger amounts out of the hands of the actual perpetrators and their accomplices, and giving them to families who often face lifelong financial challenges as a result of their devastation. Families who have lost the breadwinner in their family can do a lot more with $10 million than with a few well-meant visits from volunteers with baskets, or summer camp for the victims’ children. And they even can regain a modicum of pride, knowing that their oppressors have paid a price. And so it is not only in the interest of full disclosure that I mention I did some consulting work for Shurat HaDin a few years ago. Seeing the operation of Shurat Hadin up close was a powerful experience for me—one that spoke of the tremendous potential of a single individual to turn the course of an entire battle. This past December, I caught up with Nitsana in Tel Aviv. Familiar with her successes, I was expecting a conversation that looked back at all the changes. Instead I heard a few things that surprised me—both a hint as to the next stage in the legal fight against terror, and a warning about how everything she has achieved might be slipping through our fingers at this moment. “When we first started talking about suing terrorists, we had people in the legal community laughing at us. They said, ‘What are you gonna do, wreck their credit rating?’” Nitsana giggles; she has told the story a thousand times, but it still amuses her. Terrorists always wanted us to think they were insane and otherworldly, vipers and vampires and blood-sniffing vultures, preying on innocent children and devouring their innards like Satan in a medieval painting. They thrive, we are told, in the dark places of the world, deployed by vicious enemies who have no fear of lawyers or judges, and who would eat you alive. You don’t sue them. You launch air strikes and covert ops against them and teach their grandchildren to utter your name in hushed tones. But Nitsana was the beneficiary of a whole constellation of inspirations and predicates, of people and circumstances that came together in a perfect historical storm to enable her to create something entirely new and mind-bogglingly effective. First, there was her personal background. Born in Israel to a family of formerly well-to-do Iranian Jews who were forced to leave everything behind as they fled to Israel in the early 1950s, she grew up knowing hardship and lacking any illusions about the Middle East. Her early memories included the horrific terror attacks that plagued the Jewish state in the mid-1970s. In 1974 terrorists stormed an elementary school in Maalot and killed 21 children; they bombed a busy Jerusalem street in 1975, killing 15; the same year, terrorists landed on the beach in Tel Aviv and took over the Savoy Hotel, holding its guests hostage, killing eight. In 1978, they hijacked a bus along the Coastal Road between Tel Aviv and Haifa, murdering 38 Israelis; there was the 1979 seaside attack in Nahariya, when they marched a family to the beach and murdered the children before their father’s eyes. Terrorism threatened not only the daily serenity of each and every Israeli—in a small country, every attack touches you personally—but also the central premise of Jewish empowerment on which all of Zionism had been predicated: the belief that only through statehood could Jews finally live free from the whims of the wicked and powerful, secure in their own national home. Terror reinforced the Holocaust-era sense of collective victimhood, and centuries of pogroms and persecutions felt they had suddenly found their modern voice. Then, in law school, in Ramat Gan, in the early 1990s, she met Avi Leitner, an American immigrant who had grown up with his parents’ 1960s civil rights activism and his own involvement in demonstrations on behalf of Soviet Jewry in the 1970s and 1980s. He embodied a spirit of Jewish empowerment, and the belief that victims can themselves turn on their oppressors and bring justice into the world. But he was also an exceptionally funny guy. His dry New York humor together with the pulsating beat of the Ramones would form the implausible soundtrack to their life. They married before she finished her degree. Avi took Nitsana to visit the United States, where he introduced her to the Southern Poverty Law Center, a famous civil rights group organization that used lawsuits to fight against neo-Nazis and the Ku Klux Klan throughout the 1980s. That trip that would transform her understanding of what lawyers can do in the world, and offer an intriguing possibility for fighting terror in a totally new way. Southern Poverty drove the KKK bananas, forcing them to repeatedly shut down their branches, making fundraising a nightmare, and eventually driving organized racism in America entirely underground. But adapting the model to terrorism wouldn’t be easy. Whole national governments across the Middle East were sponsoring groups far more clever, vicious, and well-funded than the KKK. Terrorists lived out there somewhere, in other countries. Could they be really be made to care about anything going on in a courtroom in New York or Tel Aviv? 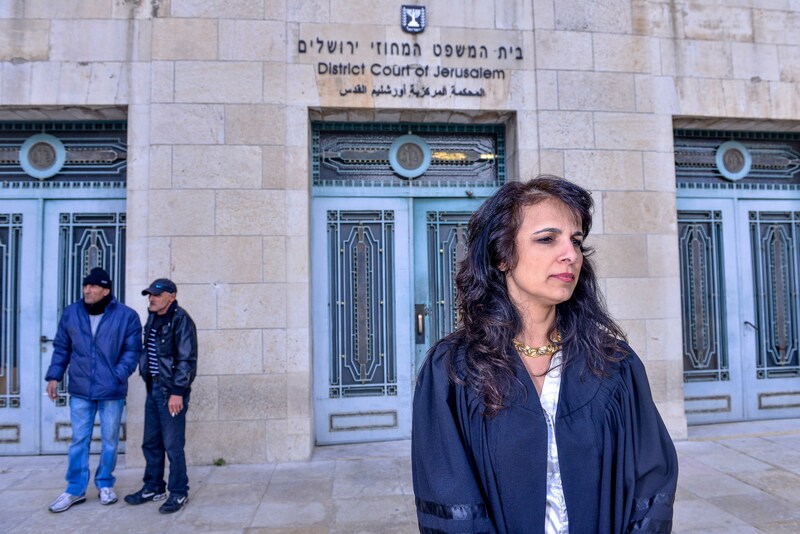 Starting in the late 1990s, Nitsana began filing a series of motions on behalf of terror victims, first in Israel, and then with the help of local counsel, in federal courts in the United States. The U.S. offered a whole range of possibilities, in part because of the vast assets that foreign governments and individuals held there, and the size of the awards judges were willing to hand down, but also because of a range of laws that allowed for damages to be sought. The Anti-Terrorism Act of 1990 provided for U.S. citizens to sue terrorists and their abettors for damages. The Alien Torts Claims Act (1789) and the Torture Victim Protection Act (1991) allowed non-Americans to sue anyone in the United States who had victimized them. Under the Foreign Sovereign Immunities Act of 1978, any country that sponsored terrorism could be sued for attacks carried out by the groups it supported. And later on, after the terror attacks of September 2001, Congress passed a series of new laws, including the Financial Anti-Terrorism Act and the Terrorism Risk Insurance Act, that would make it much easier both to sue those who funded terrorism and to collect the damages. “We filed dozens of cases in 1999 and 2000. Every one tested a different legal theory, used a different never-been-tried argument. Every one meant depositions and research, going through the awful details. In some cases we had to invent the process too, not just the argument. How do you serve a lawsuit on Hamas? They don’t have an office you can just show up at with a process server. We had to ask an Israeli prison warden to serve papers on a Hamas leader sitting in jail. What about Iran? Do you FedEx a lawsuit to ‘the government’ in Tehran? International couriers didn’t go there. Send a fax to the embassy? Serve Hezbollah in South Lebanon? Nobody had ever tried these things before. “Once we wanted to personally sue Mohammed Khatami, the former Iranian president, on behalf of Jewish families whose loved ones had been imprisoned and tortured for wanting to escape Iran while he was in office. Under the Torture Victims Protection Act, we could go after his personal assets, but only if we found a way to serve the papers on him while he visited on American soil. We found out he was coming to speak at the UN, but there was no way to get through his rings of security there. So we found out he was speaking at the CAIR [Council on American-Islamic Relations] dinner in Washington. For $800 you could not just go to the dinner but also get a handshake and photo op. So we hired a former detective in Arlington, Virginia and wired him the money. He showed up at the dinner, hands Khatami the papers, smiles, tells him he’s being sued, Khatami smiles, the photographer snaps the picture, then the picture goes up on their website, and voila. Served. It was crazy, but it worked.” Nitsana laughs like a girl at a sleepover. These were not class-action suits either. Every case was filed individually, representing a separate victim, proving responsibility and damages and liability. Every case involved another tragedy, another horror relived, a wound reopened on the witness stand. But the cases were novel, terrorism still a very distant thing, and few American judges really knew what to do with them. It took the catastrophe of the September 11, 2001 attacks to change that. Though Nitsana is reluctant to assess the role that 9/11 had on the outcome of her cases, it seems pretty hard to deny. Only then did Americans really recognize the magnitude of the threat of terrorism and the importance of the battle, and no judge could remain unmoved by the cases before them. Judges are human, and we want them that way. It was in February 2002 that they got their first big breakthrough. The ruling concerned the case of Ira Weinstein, a 53-year-old father of three from Brooklyn who had been riding the number 18 bus in Jerusalem in February 1996, when a suicide bomber blew himself up and murdered 25 others on the bus. Nitsana’s team had filed suit on his family’s behalf in 2000 in the District of Columbia against the government of Iran, a supporter of the Hamas terrorists that had carried out the attack. Iran had repeatedly refused to recognize the legitimacy of the American courts, failing to show up for hearing after hearing. But in February 2002, a federal judge awarded a default judgment of $183 million against the regime. This ruling proved to be just the first in a whole string of successes, each one providing precedent and momentum for the next. Just a few months after the Weinstein decision, a judge in Rhode Island gave her and her co-counsel David Strachman, a preliminary ruling on the case of Yaron and Efrat Ungar, a young American couple who had been gunned down in their car when stopped at a traffic light just outside the city of Beit Shemesh in June 1996. The Palestinian Authority had argued that it could not be sued because it had sovereign immunity, as if it were a state. But now, for the first time, the judge rejected their argument, ordering the lawsuit to proceed. Two years later, the same judge would award the Ungar family over $100 million in damages. Israeli judges began ruling in their favor, as well. In December 2000 they had filed a lawsuit on behalf of the widow of Vadim Nurzhitz, an unarmed Israeli reservist who was infamously dragged from his car and beaten to death in the police station in Ramallah at the beginning of the second Intifada, his body hurled from the building, torn apart by a waiting mob, and dragged through the streets. In 2002, an Israeli judge ruled that there was enough evidence to hold the Palestinian Authority responsible for the lynching, and slapped a pre-emptive lien on $16 million in Palestinian money being held by the Israeli government, an astronomical figure by Israeli legal standards. Over time, as they catalogued victories and continued to refine their methods, a strategy began to emerge. It had three parts—each of which was grounded in different laws and precedents, and required a different set of tactics, witnesses, evidence, and arguments. The most obvious place to start was to sue the states that sponsored terror. Iran, Syrian, Libya, and North Korea were all placed on the State Department’s formal list of governments that sponsored terror, and therefore could be sued under U.S. law, as long as you could prove that those governments had deliberately supported the groups that carried out a given attack. More challenging was trying to sue terror organizations themselves, or other non-state bodies with ties to terror, such as the Palestinian Authority. Terror groups do not recognize American courts, and it is extremely difficult to serve papers on a terror group. Even if you win a default judgment, collection is not simple either. But it isn’t impossible. With the help of intelligence agencies, assets can be identified, tracked down in European countries, an American ruling domesticated, and the assets flagged and attached. Yet the biggest challenge has clearly been fighting against corporations and banks. Suddenly you find yourself facing massive teams of well-heeled lawyers who have long ago mastered the tactics of high-stakes litigation on behalf of wealthy clients who exist only to preserve and build their wealth. Yet here too, there is justice to be found. 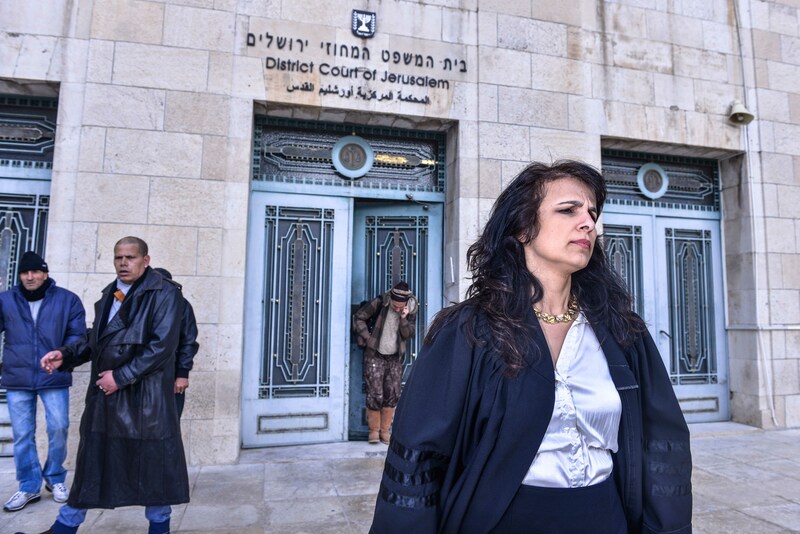 Just last year, American judges offered preliminary rulings in two crucial Shurat HaDin-related cases—one against the Lebanese-Canadian Bank, the other against the Bank of China—which meant that the cases would move forward, even at the risk of ruffling the feathers of the Chinese government, and against the political desires of the U.S. State Department, the Israeli government, and others. Shurat HaDin sits in a small office in Ramat Gan, across from Tel Aviv and the Arlozoroff train station and next to the Diamond Exchange. Unlike most nonprofit leaders, who focus mainly on fundraising and awareness-raising, Nitsana actually spends the majority of her time on the litigation, strategizing the cases and running a small team of in-house and freelance lawyers, as well as co-counsels around the world who file on behalf of clients. It is tedious work, endless work, and includes research, briefings, court appearances, meeting terror victims interested in finding justice, financial relief, and the sense of empowerment that comes with confronting your attacker and winning. But for the outside observer, it also seems like a work of constant creative motion, a breathtaking artistic enterprise. I remember the first time they explained to me the concept of domestication—that when a judge rules that somebody owes you money, you can take that ruling to courts in other countries around the world, anywhere that person has assets, and make them pay through the local courts. It’s another thing that’s much easier to do in civil suits than in criminal cases. Nitsana has used that principle, combined with intelligence about the location of Iranian bank accounts, to file cases based on U.S. rulings worth hundreds of millions of dollars in Italy, France, and other European countries. The result was to force Iran to move its assets out of Europe entirely. This is something the U.S. government can’t do, and European governments have shown little desire to do. There is something ancient and uniquely Jewish about it, too. Using incessant intellectual innovation to improve the fate of humanity, to effect justice, to make the bad guys squirm, to help your people. Of course, the mission is not just to help Israelis and Jews. Shurat HaDin has already exported its model well outside the Middle East, helping victims of the Colombian terror group FARC, and those murdered by the Japanese Red Army. They’ve met and urged Protestant groups in Ireland to sue the IRA. They’ve been involved in lawsuits against Chiquita, against the government of North Korea, and elsewhere. Nitsana lectures for intelligence and law enforcement agencies around the world. But her principal motivation has always been about helping her own people, her extended Israeli family. When Turkish organizers of the Free Gaza movement organized a flotilla meant to break the Gaza siege and provide material support to the Hamas government there, Shurat HaDin took up the lead in preventing the vessels from setting sail and the group from organizing. “Part of it was that they were aiding and abetting Hamas,” she recalls. “But we also tracked down an American law from the late eighteenth century that makes it a crime to break a lawful maritime siege being carried out by an American ally. 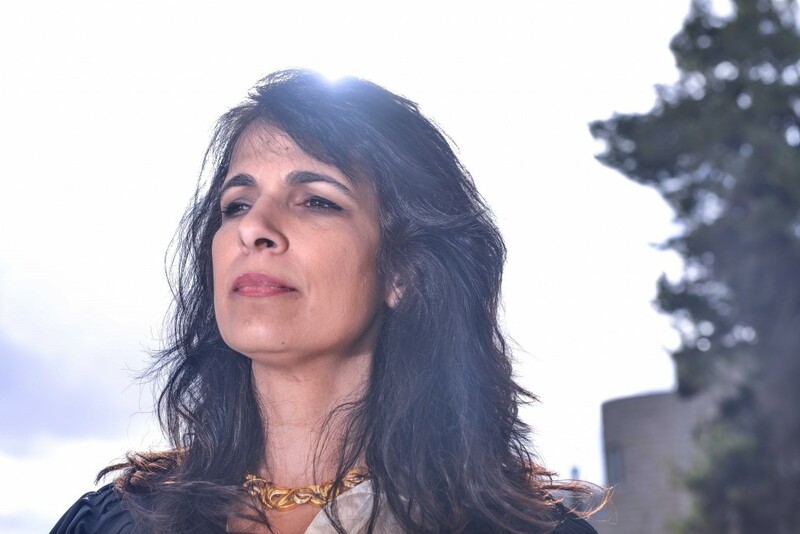 We used everything we had and we sank the flotilla.” For Nitsana, a central part of her work is about proving that the Jews really do have a place in the world, and that when people attack them, there will be a price to pay. The offices have an oddly layered atmosphere, as well. On the most obvious level, it’s intensely busy, as phone calls come in, researchers talk to lawyers, who talk to other lawyers, much busy intense conversation and brainstorming and movement. The décor is a little weird, however. A big wooden globe with a centuries-old map on it sits unattended, broken—the world is always a little off. A wooden statue of a Native American that looks like it was stolen from a Manhattan cigar shop by drunken frat boys peers at you from a dark corner of her office. An antique wind-up Victrola with a vinyl 78 by the Israeli band Mashina greets you in a conference room. It’s like the creative energy has a powerful undercurrent of humor to it. Because if you can’t laugh, will you cry? Or maybe her ever-present sense of humor is the only way to handle the tragedy of the details of the terror attacks, the testimony of the victims, the enormity and gravity of it all, without losing one’s mind. I once had a long conversation with Effi Eitam, the burly, bearded brigadier-general who would later lead Israel’s National Religious Party. In recounting his tour as commander of the Galilee Command during the 1990s, when Israel still occupied a strip of southern Lebanon, he told me how he had faced the challenge of Hezbollah fighters engaged in guerrilla operations against the IDF. I reconstruct his words from memory, though it was long ago. This, in essence, is what Nitsana has accomplished, as well, together with the efforts of U.S. Treasury officials and Mossad agents and governments around the world over the last two decades. By forcing terrorists to hire lawyers, accountants, and public relations firms, you have squeezed them into the rubric of civilizational order. You put them on their heels. Instead of aggressively planning their next attack, they started worrying where the next lawsuit or court action would come from. The moment you recognize that terrorism is not a pathology but a deliberate methodology that counts on chaos to undermine your life, you have already taken the first step to containing, controlling, and defeating it. The fight has been much more successful than is often understood. While groups like Hezbollah and Al-Qaeda affiliates continue to operate, they have nothing like the freedom they had twenty years ago. Funding them, training them, command and control—all have become much harder than in the past. It’s true that these groups have become more sophisticated under the new conditions. But it’s also true that nothing close to 9/11 has struck American soil in the last decade. To make it work has required the simultaneous commitment of legislatures, judges, and executive branch officials in different countries. That is why Nitsana is deeply troubled by the deal reached in November in Geneva between the “P5+1”—representatives of the five permanent members of the United Nations Security Council plus Germany—and Iran regarding their nuclear weapons program. In her view, the entire battle against global terrorism might be on the brink of a terrible reversal. “The deal in Geneva is really dangerous. All the signals point to a disaster.” The key problem is the core concept of the emerging deal, in which Western countries agree to relieve the harsh economic sanctions against Iran, in exchange for Iran slowing or suspending its nuclear weapons program. But as Nitsana points out, this leaves the whole question of terrorism off the table. Everybody is so focused on Iran’s nuclear program that they’re giving them a pass on the fact that they’re the central supporters of global terrorism. The reason Iran was originally blacklisted in 1996 wasn’t because they had a nuclear program, it was because they were the bankers for international terrorism. Even if they stop enriching uranium, they will still be the main supporters of Hamas, Islamic jihad, and Hezbollah, as well as major players in the war crimes going on in Syria. All is forgotten. European companies now are lining up to open offices in Tehran. And all the while, not once have the Iranians said they would stop supporting terrorism. Are you suggesting that the United States government no longer cares about fighting terrorism? I’m saying that Geneva points in a very bad direction. We’ve already had reports that for a few months now the Department of Justice has stopped investigating cases where people in the U.S. are plainly violating Iran sanctions. Americans want to forget about terror. I understand it’s hard to be worried about something for so long. People want to feel good and it’s human nature to try and ignore problems like terrorism. As soon as there’s a little quiet, America goes back into safe mode. But terror groups are still active, still waiting for the money to come in. If anything, Hezbollah is much better geared up than in the past. They have sleepers everywhere. They’ve spread out. They’ve built up their infrastructure, their surveillance. They have the potential to do way more damage than they did on 9/11. They haven’t been sleeping all these years. They’ve been building and building and building. It doesn’t take very much at this point to set off a bomb. The U.S. and Europe have been lucky. How hard is it to get a dirty bomb into New York or Antwerp? So what do you think will happen next? Everybody’s rushing over to Tehran, banks and companies and the oil conglomerates. The stock market in Tehran is shooting up. People think they can’t be caught supporting terrorists. The Bank of China thought the laws didn’t apply to them, but they did. If companies fail to understand that they are aiding and abetting terrorism, legally speaking, then as soon as the terrorism starts again, there will be a whole new wave of lawsuits. Unfortunately, I see that as inevitable. Finally I ask her about the new kind of terrorism, the “inspired terror” that we saw in the Boston attacks. This is crucial, because it seems that in the past few years groups like al-Qaeda have deliberately circumvented the traditional command-and-control structure by simply inspiring people, through videos distributed online, not just to want to commit attacks but also giving them instruction in bomb-building and fundraising. The Tsarnaev brothers weren’t wired large sums of money or given direct orders to act. They just downloaded it all from the Internet. But if they aren’t using the global financial networks, how can you stop them? If the past is any indicator, I have no doubt they are.